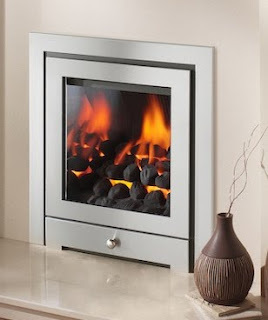 The Apex Mystique is another quality fire from the Apex range of fires. The Apex Fires Mystique is available in both a three-sided version to sit on a hearth in a traditional fireplace or in a four-sided Hole-In-The-Wall Version for a more contemporary look. The Mystique is available in Black, Brushed Steel, Copper and Dusted Silver providing the flexibility to fit in with almost any living space colour scheme, while the fuel bed can also be customised with either black or polished sides, the polished sides create the illusion of an even larger fuel bed, while the black sides highlight the flames and really do make the living gas flames the centre of attention. For added versatility and flexibilty to suit almost any taste the Mystique is available with either a pebble or coal fuel effect. The coal effect provides the ultimate sense of realism thanks to the ultra-deep fuel bed, that when combined with the fact that Apex Mystique is one of the deepest high-output, open-fronted radiant fires available on the market today and the living gas flames give a real sense of a solid fuel fire, while the pebble fuel effect provides a more contemporary effect. The strong right angles and sleek edges of this fire give a very cubist and almost futurist look and combine to make a very modern effect that is emphasised by the two levels of trim around the fire. The first level defines the fire and draws the attention in, while the second level frames the fuel effect and makes the flames the centre of attention. This fire can also sport the luxury of a remote control that means you can control this fire from the luxury of your armchair. 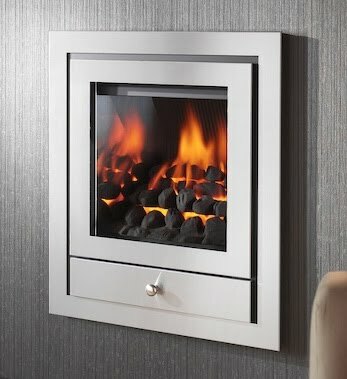 The 4.2kW heat output of the fire provides plenty of heat output for the average sized living space and fill the room with the highly desirable glow and warmth that is so eagerly sought after during the winter months. 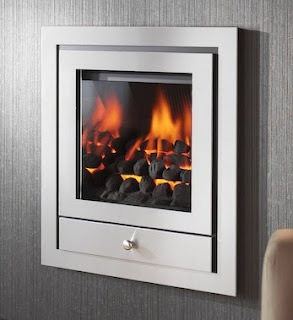 This highly stylish and modern fire also now comes with complete with a 5 year manufacturer's warranty, that means that not only does this fire come with a sense of style, but it also comes with peace of mind.